an individual or legal entity from a country that allows Japanese nationals to register their trademarks, provided that such foreign nationals have a representative in respect of the said trademark in Japan. Under an amendment to the Japanese Trademark Act introduced in 2015, new types of trademark, such as colours and sounds, can be registered as trademarks. Under the Trademark Act, ‘trademark’ should be recognisable by human perception and is defined as ‘any character(s), figure(s), sign(s), three-dimensional shape(s) or any colour(s), or any combination thereof, sounds or other marks provided by Cabinet Order’. In particular, ‘motion marks’, ‘holograms’, ‘colours without profiles’, ‘position marks’ and ‘sound marks’ are to be protected in addition to the traditional trademarks. A trademark to be used in respect of goods (trademarks) or services (service marks) in connection with the applicant’s business can be registered, unless such trademark is generic, customary for the business, non-distinctive or against good morals or public order. The Unfair Competition Prevention Act (Act No. 47 of 1993) protects well-known trademarks without registration, although other trademarks are not protected without registration. It usually takes six to 10 months from the filing of an application for registration with the Japan Patent Office (JPO) before the JPO determines the registrability of the trademark (assuming there are no major issues in respect of the application). As for cost, an applicant or owner of a trademark should pay the official fee for filing upon filing and registration tax when the application is determined registrable. The official fee for filing one application is the total sum of ¥3,400 plus the result of ¥8,600 multiplied by the number of designated classes. Registration tax is the sum of ¥28,200 multiplied by the number of designated classes. There is no legally binding standard for attorneys’ fees in Japan. Usually, attorneys charge flat fee rates agreed with clients. 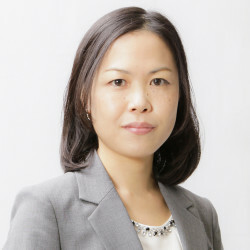 Attorneys’ fees for filing and registration (excluding translation costs) are difficult to estimate, but they would, on average, be approximately ¥120,000 per application covering one class, provided that there are no reasons for rejection. Filing an application in more classes can increase the estimated time and cost of filing a trademark application and receiving a registration. At filing, no documentation such as power of attorney is needed. The JPO follows the latest version (11th edition) of the International Classification of goods and services (the Nice Classification). Any goods or services listed in the Nice Classification may be claimed, as long as goods or services are specifically designated. The wordings of the class headings are not always acceptable for the designation of the goods or services. Multi-class applications are available. Filing such an application will be more cost-efficient than filing an application per class. The JPO examines all applications for conflicts with prior registrations and applications. The similarity between the trademark applied for and prior registrations or applications of trademarks is determined by the examiners of the JPO according to the examination standard published by the JPO and considering three factors: sound, appearance and meaning. If an objection is raised based on a third-party mark, a letter of consent is not acceptable to the JPO. Applicants may respond to preliminary rejections by the examiners of the JPO, and may request further examinations in an appeal against a final rejection. An English translation of the examination guidelines for similar goods and services can be downloaded from the website of the JPO (www.jpo.go.jp). No. The use of a trademark or service mark is neither a requirement for the application or registration of a trademark nor a requirement for the maintenance of the registration, although lack of an intention to use can be a ground for the rejection of registration. Accordingly, in principle, proof of use does not have to be submitted. However, if the registered trademark has not been used for three consecutive years, any party may ask the JPO to cancel the registration. In such a case, the trademark will be cancelled unless the trademark owner shows proof of use of its trademark. Yes. In the course of an application examination, the JPO examines the completeness of the basic formalities and the substance of the applications, the similarity of the trademarks and the similarity of the goods or services (see question 6). If the examiners find any problems, the JPO issues a notice of rejection, in which case the applicant can submit an opinion or amend the application. If, after the applicant’s amendment or opinion, the JPO decides that the requirements remain unsatisfied, it will issue a decision of rejection. If the applicant has a complaint about the decision of rejection, then it is subject to an appeal examination. Further, the applicant can appeal to the Intellectual Property High Court seeking cancellation of the JPO’s decision. If the court renders a judgment cancelling the decision of the JPO, the applicant can have the trademark in question registered based on such judgment. Japan adopts a post-registration opposition system, and therefore, applications are not published for opposition. Any third party may oppose a trademark or service mark only after registration. that a mark includes another party’s image, full name, or famous abbreviation or stage name. Certain major reasons for invalidation need to be filed within five years after registration. A brand owner may oppose a bad-faith application regardless of whether its mark is registered with the JPO if the mark is famous in Japan or a foreign country. In the opposition proceedings, the trademark owner is required to submit a counter-argument only when the JPO considers that a third-party’s argument is reasonable and issues a notification of reason for revocation. The typical range of costs associated with a third-party opposition would be approximately ¥200,000 to ¥400,000 when filing a counter-argument. The term of a trademark is 10 years from the date of the registration. An owner of a trademark desiring the renewal of the registration shall submit a request for renewal to the JPO within six months prior to the expiry. Even after the expiry of the term, the owner may make a request for renewal within six months from the date of expiry. No proof of use is required for renewal. However, where a registered trademark has not been used in Japan by an owner or its licensee for three consecutive years, any person may file a request for a trial for rescission of such trademark registration. As a defence against such request for a trial for rescission, the trademark owner needs to file proof of use, such as copies of catalogues, advertisements, publications, websites and trade documents bearing the trademarks and indicating the issuance dates. The owner of a registered trademark has an exclusive right to use the registered trademark in respect of designated goods or services. The owner may also prohibit another party from using marks identical or similar to the registered trademark for goods or services identical or similar to those designated in the registration. If the registered trademark is infringed or likely to be infringed, the owner may seek injunctions for discontinuing such infringement or other necessary measures to prevent the infringement. Upon infringement, the owner may also seek compensation for damage caused to the owner by the infringement. A licence may be recorded in the register of the JPO in respect of each registered mark. There are two types of registration of licence: the registration of an exclusive licence and the registration of a non-exclusive licence. If either registration of a licence is made, a licensee is able to use its right to the licensed mark as a licensee against a party that is subsequently assigned the licensed mark from a licensor or a bankruptcy trustee subsequently appointed by a court for a licensor. Further, if the registration of an exclusive licence is made, then the licensee has standing to sue against infringers for both injunctive and monetary relief (see question 21). In Japan, a trademark can be assigned either with or without goodwill, and either with or without other business assets. When several goods or services are designated for registration, a trademark may be divided into each class and can be assigned separately. For the registration of the assignment of a trademark, a deed of assignment is required. Notarisation is not necessary. If the deed includes a provision where an assignor agrees to an assignee’s filing application for recording of the assignment, then the assignee may file an application for recording of the assignment without cooperation of the assignor. The assignment of a trademark shall be of no effect unless it is registered with the JPO, except those transferred by inheritance, merger or other general succession. A trademark may be the subject of pledges, provided that such creation of pledges over trademarks is registered with the JPO. Registration of the pledges is a condition for such pledges to be valid and enforceable. For the purpose of creation of pledges, a deed of pledge needs to be filed with the JPO. The deed does not need to be notarised. Marking is not mandatory. The following are customarily used to indicate trademark registration: ®, the letters ™ in the upper-right corner or the words ‘the registered trademark, registration number’ followed by the registration number itself. However, none of these is legally required to be indicated and none has statutory effectiveness. If the trademark owner uses any of the above indications, the trademark owner can easily show the intention or negligence of infringers in a suit for infringement. However, despite the absence of such indications of trademark, it is likely that the alleged infringer’s negligence would be found. Both civil and criminal proceedings are available. There are two types of civil proceedings. One is the main lawsuit, by which a trademark owner may seek both a permanent injunction order and compensation for damages, and the other is a proceeding for preliminary injunction, by which a trademark owner may seek a preliminary injunction order. 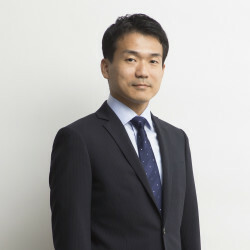 There is no specialised court for trademark cases; however, the Tokyo District Court and Osaka District Court have specialised divisions dealing with cases relating to intellectual property. For criminal proceedings, a trademark owner may file a criminal complaint with police officers or public prosecutors; in practice, however, it depends on the discretion of police officers or public prosecutors as to whether a substantial investigation is made. Criminal proceedings are governed by the Code of Criminal Procedure, which is applied to all criminal proceedings in Japan. There are no specific procedural provisions related to trademark enforcement in criminal law. In addition, as an administrative proceeding, it is possible for a trademark owner to file an application for customs seizure. The infringement proceedings begin with the filing of a complaint for a main lawsuit or petition for a preliminary injunction. No US-style discovery is allowed in Japan. However, an order for document production with limited scope under certain conditions is available. Live testimony can be used under the Code of Civil Procedure, although judges usually prefer to dispense with live testimony for trademark infringement cases. Affidavits from experts are often submitted to prove important facts, such as pronunciation of foreign words, likeness of confusion, the fact that the mark is well known and the amount of damages. The proceedings for a preliminary injunction typically take several months, and the proceedings for a main lawsuit typically take one to one-and-a-half years at the district court level and another year at High Court level. For criminal proceedings, a trademark owner may file a criminal complaint with police officers or public prosecutors; however, in practice, it depends on the discretion of police officers or public prosecutors as to whether a substantial investigation is made. After the investigation, only the public prosecutors may commence the prosecution in court, and whether to prosecute is at the sole discretion of the public prosecutors. Live testimony is commonly used. Upon the request of the public prosecutor, the trademark owner may submit affidavits in order to prove important facts, such as the likeness of confusion, the fact that the mark is well known and the amount of damages. The criminal proceedings typically take less time than civil lawsuits, unless the accused (trademark infringer) denies the offence. A trademark owner has the burden of proof to establish that its mark has been registered with the JPO or is well known in Japan and that marks used by an alleged infringer are similar and cause confusion of source. The alleged infringer has the burden to prove the facts supporting its counter-arguments (see question 27). A trademark owner or a licensee who has been registered as an exclusive licensee with the JPO has standing to seek injunctive relief or compensation for damages. A licensee who has not been registered as an exclusive licensee with the JPO does not have standing to seek injunctive relief, although there are a few precedents where an exclusive licensee who has not been registered with the JPO was awarded compensation for damages. A trademark owner or a licensee who has been registered as an exclusive licensee with the JPO may file a criminal complaint with police officers or the public prosecutors. However, only the public prosecutor has standing to bring a criminal complaint to the court under the Code of Criminal Procedure. Whether to prosecute is at the sole discretion of the public prosecutor. Activities taking place outside Japan cannot support a legal charge because the activities to be judged in Japanese courts must be those made within the territory of Japan. However, activities that take place in foreign countries are often cited in order to prove facts, such as the fact that the mark is well known worldwide and the fact that the alleged infringer had the intention to infringe. Further, judges sometimes wish to know about judgments rendered by courts of foreign countries, especially those of the US and EU. In addition, an act of importation from foreign countries into Japan constitutes infringement taking place within Japan. Under the Code of Civil Procedure, each party may file a court petition for an order of document production against an adverse party or a third party, as long as the requesting party can identify the document to be produced to a certain extent; there is necessity to obtain an order for document production; and the adverse party or the third party has no statutory grounds of immunity from production. Further, there is another proceeding by which each party may request a court to request a third party to produce documents voluntarily. In order to obtain evidence from third parties outside the country, a party should request a foreign court through a Japanese court to provide judicial assistance and obtain evidence in accordance with the Convention Relating to Civil Procedure or bilateral international agreements. After the filing of the complaint, the court clerk will examine whether the correct form for the complaint has been used and whether the correct stamp value has been affixed on the complaint. The clerk will then contact the plaintiff, or his or her attorney, and depending on his or her availability, will decide the date of the first oral hearing. The court will then send a summons and the complaint to the defendant by mail. The first oral hearing will typically be held 40 to 50 days after the filing date. Before the hearing, the defendant must file a defence, which will deny or accept each claim and the factual information relied upon in the complaint. At each key event in the proceedings the judge will ask the parties whether they have an intention to settle the case. Following the first hearing, there will be a court hearing of (on average) 10 to 15 minutes once a month for about eight to 12 months. In addition, the judge may hold a preparatory court hearing, at which the judge and both parties will discuss the issues at hand for a relatively long time in chambers. The examination and cross-examination of witnesses will follow, although judges tend to dispense with the examination of witnesses in relation to trademark cases. After this, each party will file its closing brief. The oral proceedings will close and the court will issue its judgment. On average, judgment is rendered one to one-and-a-half years following the filing of the complaint. The proceedings for a preliminary injunction typically take several months or more. The proceedings for appeals typically take about one year. The fee to be paid to a court upon filing depends on the economic scale of the case. For example, if the trademark owner seeks ¥100 million as damages, it must pay approximately ¥300,000 to the district court and, if it appeals, ¥500,000 to the High Court. As for attorneys’ fees, there is no legally binding standard in Japan. Usually, attorneys representing foreign clients charge on an hourly basis and their rates vary from ¥30,000 to ¥60,000, although some attorneys charge certain amounts as initial and contingent fees. 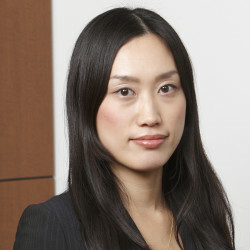 Under Japanese law, a plaintiff can recover the full amount of the fee paid to the court and a part of the attorneys’ fees, which is usually up to 10 per cent of the amount of the damages awarded as compensation for infringement. The judgment of a district court can be appealed to a high court. There are 50 district courts and nine High Courts in Japan. Since April 2005, trademark cases that used to be subject to the jurisdiction of the Tokyo High Court are now heard by the Intellectual Property High Court. The grounds for appeal from a district court to a high court are that the first judge made an error in a factual finding or in the application of the law. The Supreme Court will hear appeals from a high court on grounds of error in interpretation and other violations of the constitution. In addition, violations of the civil procedure rules, such as an error in jurisdiction or lack of reasoning, will also give rise to a right of appeal to the Supreme Court. A system of petitions to the Supreme Court has been introduced that gives the Supreme Court discretion to accept cases if the judgment being appealed is contrary to precedent or contains significant matters concerning the interpretation of laws and ordinances. In addition to a defence before the courts, an alleged infringer may file a petition for invalidation or cancellation of registration as a separate proceeding before the JPO. Filing a petition for invalidation or cancellation with the JPO does not necessarily stop litigation proceedings before a court, but judges sometimes prefer to await the outcome of a JPO decision. Permanent injunctions and monetary relief are available through the proceedings for a main lawsuit, and a preliminary injunction is available through the proceedings for a preliminary injunction. As to monetary relief, the amount of damages is limited to actual damages (punitive damages are not allowed in Japan). a reasonable or established royalty rate. To obtain injunctive relief, the trademark owner does not have to establish any fact other than an existing, or the threat of, infringement for a permanent injunction through a lawsuit on the merits, but must establish the necessity for a preliminary injunction if they request one. However, in practice courts do not require a high level of necessity to be established. Further, as a condition for a preliminary injunction order, the trademark owner is ordered by judges to place a bond with the court, the amount of which is determined by judges on a discretionary basis; for example, as an amount equivalent to 20 per cent of the annual sales of infringing products. As for criminal remedies, imprisonment not exceeding 10 years or a fine not exceeding ¥10 million (in the case of a corporation, ¥300 million), or both, may be imposed on the trademark infringers, depending on the maliciousness of the conduct, the amount of damages etc. Arbitration is available in Japan as long as both parties agree to arbitrate disputes. The Japan Commercial Arbitration Association (www.jcaa.or.jp) and Japan Intellectual Property Arbitration Centre (www.ip-adr.gr.jp) are active institutions that administrate arbitration proceedings in relation to disputes related to intellectual property. However, the number of arbitration cases relating to intellectual property is small, except for domain name disputes, and the number is presently far lower than the number of litigated cases. The benefits of arbitration are that the parties may agree to use the English language, that confidentiality can be kept and that the enforcement of the decision is easier if the decision needs to be enforced in foreign countries etc. The risk of arbitration is that no appeal is available. Further, mediation is also available as long as both parties agree. The benefit of mediation is that the proceedings are not necessarily adversarial, and the risks of mediation are that it is very difficult to locate good and experienced mediators and that the proceedings may become redundant, as the mediation is not binding. A famous foreign trademark is afforded protection even if not used domestically. A domestically famous foreign trademark can prevent others’ similar trademarks from being registered and prevent others from using similar trademarks. A trademark that is famous only in a foreign country can prevent others’ similar trademarks from being registered only if the applicant is found to have an unfair purpose. Materials proving that the trademark is famous among consumers (eg, the period, scope or frequency of its use) or the trademark is used with an unfair purpose (eg, the purpose of gaining unfair profits or causing damage to the other person), or both, are required. In a notable case, the Tokyo District Court granted a provisional injunction against the defendant’s use of the visual appearance of the exterior and interior of a coffee shop that was similar to that of the plaintiff’s famous coffee shop (Tokyo District Court Judgment dated 19 December 2016, Case No. 2015 (yo) 22042). While there is no particular provision as to protection of trade dress in Japan, this is the first case where an injunction against the use of the visual appearance of the exterior or interior of a store was granted by a court. The plaintiff, Komeda Coffee Shop, is one of the largest coffee shop chains in Japan, with more than 600 stores. The court granted the distinctiveness and fame of appearance of the plaintiff’s coffee shop, and decided that the defendant’s use constituted an act of unfair competition (article 2(1)(i) of the Unfair Competition Prevention Act).